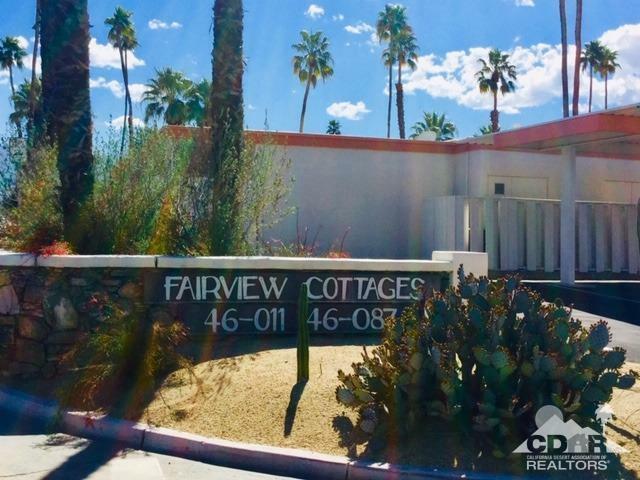 Awesome mid-century modern condo located in intimate and charming Fairview Cottages. Peach and white buildings nestled in vibrant green lawns against the blue desert skies - you will love this serene setting. 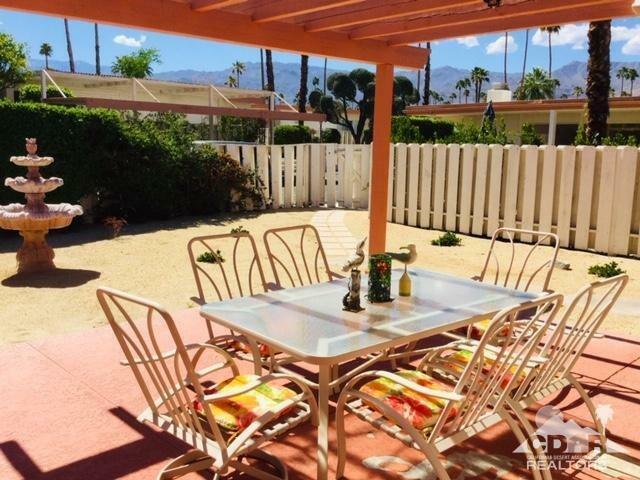 Best of all is the location - a short stroll to bustling El Paseo shops and restaurants. The perfect weekend or seasonal getaway, unless you're lucky enough to live here full time! 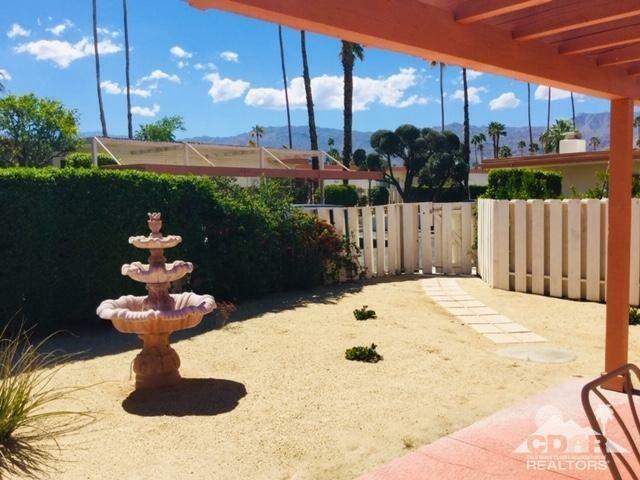 Huge fenced in front yard and terrace faces south with endless views of snow capped San Jacinto mountains. Sliding glass doors provide views from the kitchen, living room/dining room and both bedrooms. Original floor to ceiling stone fireplace (gas) in LR. Can update or enjoy the original vintage vibe. 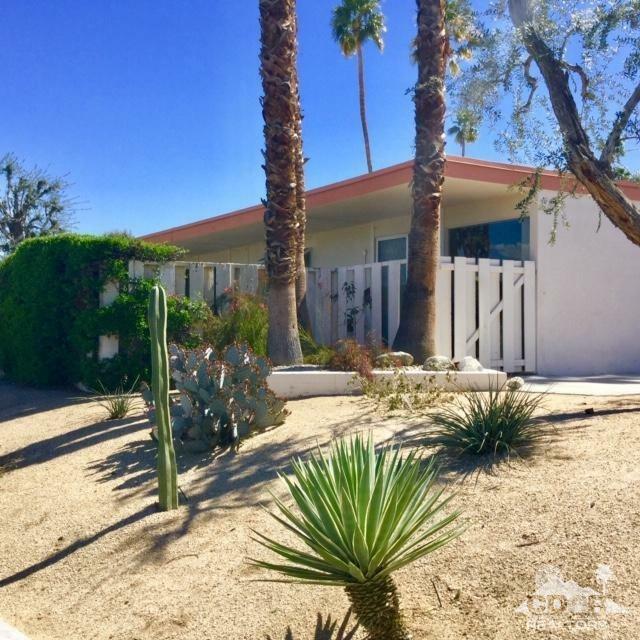 Listing provided courtesy of Beverly Bell - Deborah Cerone Team of Hk Lane Real Estate.